There has been a recent increase in anime-related crowdfunding projects popping up, and through the CHIKA*CHIKA IDOL project that has a Kickstarter campaign underway, there is plenty of free content to enjoy. I can't comment on an interview where the only source I can find is on a Chinese forum. There doesn't even seem to be a legitimate direct translation for the interview. It's fair to criticize Nishikiori for his directing and how he approached the adaptation, but theres a difference between critiquing and straight up insulting him. The harassment he received for a tweet hes since deleted was horrible. As for animation-wise, it's not fair to completely pin that on Nishikiori. Anime production is inherently stressful, and so many problems can crop up during it. Index s3 itself was a production disaster, and being 2 cour certainly doesn't help with that. J.C Staff themselves have already been having a bad run with this sorta thing, with them picking up a few too many shows and having to outsource a couple of them because they prove to be too much of a load. OPM S2 itself is already struggling despite being planned for years. It can be hard to find animators for projects too, since there are only so many animators in the industry and yet more shows get produced each season. As for him being difficult to work with, do you know of any specifics or any links that talk about that? I've never quite heard anything like that about him. Even with that taken into account we don't know if the manuscripts could even work because we don't have information regarding on the manuscript itself. For all we know, it actually wouldn't have worked with how it's written or changed. At worst, it's just presumptuous to at least assume if it is the case or not. I'm not trying to defend Nishikiori but I feel like this is rather difficult to even get an idea what's even going on. @Apple, you need know he had been fired because the creator left the production and as the writers. The interview in a Chinese moderator were making a interview with the director and the writer with the creator. The creator gave him manuscripts but the director scraped them for his own perspective and then the writer believed it was not enough to adapt the whole book. Nishikiori didn't care because he believed he can do it himself and that s why kamachi left the production team because he saw what`s wrong with the scripts. The adaptation issues are on his shoulder. It seems that a Newtype interview with staff members has told us that he doesn't listen to the author's ideas for helping scenes work in the anime, claiming that it doesn't work in the anime, "it's not his fault that the LN is too convoluted". In addition to this, the author stopped working with him after episode 3 due to them not getting along. So yeah, this is definitely who you can blame for the adaptation. It wasn't his choice for it to only be 2 cour, but your animation and adaptation gripes are with this guy. He has a history of being hard to work with in the past and thus having issues recruiting big name animators. Theres no need for insulting comments just because a director didn't handle an adaptation as you wanted it to be. It's only an anime. Also please have a little perspective and realize that the issues of Index s3 are not solely on his shoulders. Problems like having a rushed production schedule, and only being given 26 episodes to adapt the material he was given are completely out of his control. The fact that Index got a s3 to begin with is almost a miracle on itself, and he did his best to try to animate what fans wanted to see as best as he could with the resources he was given. This guy should just stop. 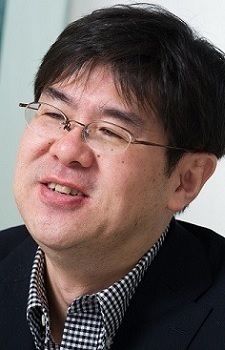 He deserves to be taken out of the anime industry after ruining to aru so badly. Just stick with your lame fanservice anime, don't do any index please. From the movie to index 3, i've waited 7 year just to see Touma action and you just have to use still camera and painful photoshop gif movement. Where is my ww3 climax??? All i see is TALK NO JUTSU and what's wrong with you when directing the Touma vs Fiamma scene????? ?